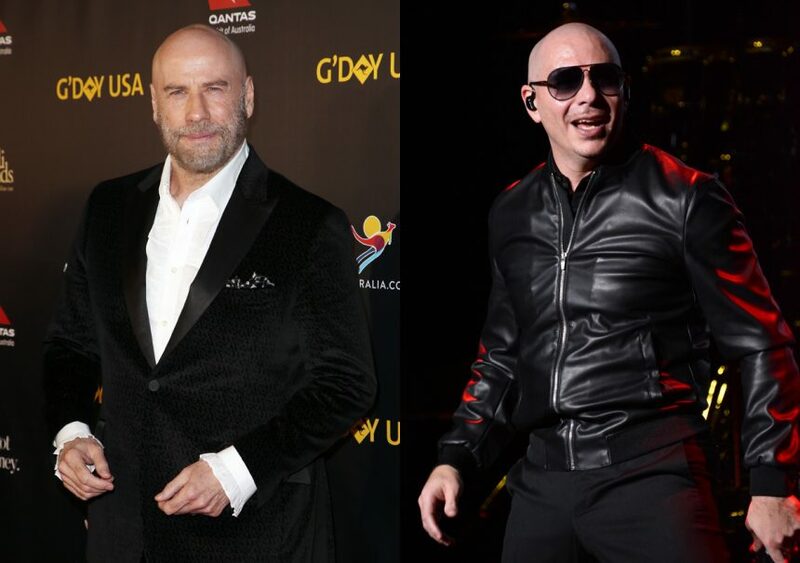 John Travolta Credits ‘Good Friend’ Pitbull With His New Bald Look! John Travolta has an unlikely source of inspiration for his new shaved head look… rapper Pitbull! In an interview with Extra published on Friday, the Saturday Night Fever star spoke about his new ‘do at the Living Legends of Aviation Awards. Related: John Travolta Praises Scientology! Travolta and Mr. 305’s friendship isn’t too surprising. The actor attended the musician’s hand and footprint ceremony at the TCL Chinese Theatre in December 2018.